► Measure your client's body reactions to stress stimuli & his or her recovery times. ► Identify your customer's individual stress profile in 10 to 15 minutes. ► the most effective relaxation or activation therapy procedures (see below how we can help). ► Provide treatment or training to your client. ► Measure the therapy or training effect on your client's body. ► If necessary change your treatment until you get the desired effects. ► Improving his or her health or performance in a drug & surgery-free way. ► Breathing, muscle activity, skin temperature or skin conductance. ► These instruments rapidly and accurately "feed back" information to the user. ► emotions and behavior — supports desired mental & physiological changes. ► Over time, these changes can endure without continued use of an instrument. ► Biofeedback can be used effectively to teach a client how to reach deep mind-body relaxation states. ► Biofeedback is effective in a wide range of emotional, psychosomatic and stress-related disorders. ► Also biofeedback has been effectively applied in sport, art, business and military mental training. ► or training regimen and can increase significantly their effectiveness. ► Biofeedback training may take 5 to 15 or more sessions for reaching your client's goals. ► For almost immediate and drug-free natural relaxation you may find the easy way in the next section below. ► Price of the biofeedback equipment : for most applications systems with price of 160 , 350 or 500 euro completely satisfy the needs of the user. ► In some cases like EMG and EEG-biofeedback or mulimodal biofeedback systems the price can reach 2000-3000 euros. ► Contact us for more information. ► To get а deep body relaxation & regeneration the mind has to be free from mental chatter or anxious thoughts. ► Sensory stimuli ( light, sound, touch, aromas ) have significant influence on the brain electrical activity. ► Usually urban sensory environment makes us tense or anxious. Most often sensory environment from the nature makes us relaxed and calm. ► Rhythmical fire flames or sunlight wave reflections slow down our brain's electrical rhythms and calm down our mind. 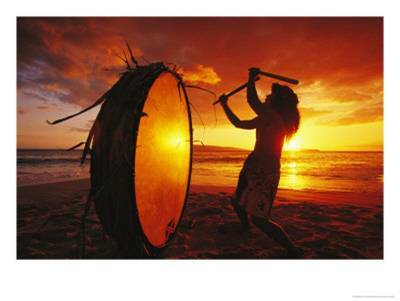 ► Rhythmical drums beating has been used since ancient times to slow down or accelerate brain's rhythms and thus bring the mind to trance states or energize it. ► Since 1934 neuro-sciences study the sensory influences on brain electrical activity and have created very effective relax-systems. ► Relax-systems are brainwave-entrainment tools which generate rhythmical light & sound pulses through goggles and head-phones. ► allows the body physiology to bring back to natural regeneration and rest. ► The brain has the tendency to synchroize its electrical rhythms with the frequency of the light & sound pulses. ► In only 5 to 8 minutes the brain slows down or accelerates its rhythms depending on the chosen program. ► sleep, relaxed and calm concentration, better learning, pain relief, boosting mood or energizing. ► Relaxation or activation programs have very pronounced regenerative effects which enhance other therapies. ► For example brainwave entrainment can shorten significantly the length of the neurofeedback therapy ( EEG-biofeedback ). ► Brainwave entrainment is very effective in widespread psychosomatic health disorders like insomnia, chronic pain, anxiety, FMS,ADD, PTSD,etc. ► Also brainwave entrainment is used to enhance visualization and accelerate learning in sports and academy. ► Price of the brainwave entrainment equipment: 325, 375, 525 or 570 euro depending on the model and number of built-in programs. ► Mind and Body recovery is essential in sports, medical treatment, psychotherapy, spa & wellness as well as in everyday life. ► VAT equipment gives a synchronic sound waves bath to client's body and brain. It may be used with or without music. ► engine of a near-by heavy truck vibrated the unsealed windows. VAT acts in a similar way although much gentler for the human body than mechanical massage. ► Sound travels 4 times faster and easier in water than in the air. Human body is composed of roughly 73% water. ► VAT uses low frequency sinusoidal sound waves in the range of 30 - 120 Hz which reach every cell of the body and are felt like gentle vibration inside the body. ► Using different sound frequencies VAT massages gently different organs not accessible by conventional massage methods - for example the lungs or the brain. ► related, neurological, digestive, breathing, musculosceletal and psycho-somatic problems have all been decreased by VAT. ► of life of healthy or ill persons without clouding of the mind and drug-free. VAT may even substitute the health effects of movement for immovable patients. ► VAT effects go beyond placebo as brain-injured children, horses, dogs and even plants benefited from cell sound massage. ► Price of VAT equipment : depending on the configuration the price of professional VAT equipment may reach 3000 to 3500 euros. WHAT ARE THE BENEFITS FOR YOUR CLIENTS AND FOR YOUR BUSINESS ? ► Client's therapy or training is evidence-based. ► Progress in the treatment or training can be measured and monitored by objective physiological parameters. ► Effectiveness of the therapy or training you provide is significantly increased. ► You can provide new and very positive relaxation & regenerative experiences for your customers. ► Speed : most users (approximately 55%) reach deep mind-body relaxation in only 5 to 8 minutes. ► 25-30% reach lighter relaxation and 10-15% do not tolerate brainwave entrainment. ► Brainwave entrainment & VAT - promoted relaxation is effortless and very comfortable for your clients. ► Cognitive functions are not interfered as with some psychoactive drugs. ► Natural and scientifically-validated methods with little or no side effects and contraindications. ► All equipment ( with exception of VAT) is very compact and mobile. ► All methods & applications are compatible with the therapy or training you provide. ► Easy to use equipment - most tools ( with exception of biofeedback) can be used with very little 1-2 hours initial training. ► In case of need and interest from you we can provide in-depth 1-2 days training to you or your staff. ► With exception of few biofeedback modalities most equipment don't need specialized personal to run it. ► from complete beginners to more advanced users. ► We can bring our equipment and work with it at your site on contract basis - no equipment investment from you. ► Or we can deliver and sell you the proper equipment according to you needs and goals. ► alternative or conventional medicine, spa & wellness, sport training, yoga or other mind-body training systems. ► We can provide you with Skype online training with pre-written pdf presentations in English and live Q & A discussion. ► We can advise you on the design of mind-body relaxation & regeneration areas in your office, hospital, hotel, spa or training gym. ► new applications of the mind-body relaxation and self-regulation methods. ► which is in-depth training (max 2 days is enough). We always provide free 1 hour training how to operate the equipment. ► You can make use of our connections with different high-quality equipment manufacturers. ► and numerous private homes where users needed these technologies to enhance their medical treatment & regeneration or to reach better learning states. ► Accordingly we can provide you not only the equipment but the proper methodology of use relevant to your job and needs. ► as well as from our big library of research files collected during long time and continuously updated. ► Click here if you want to know more about our company and experience.